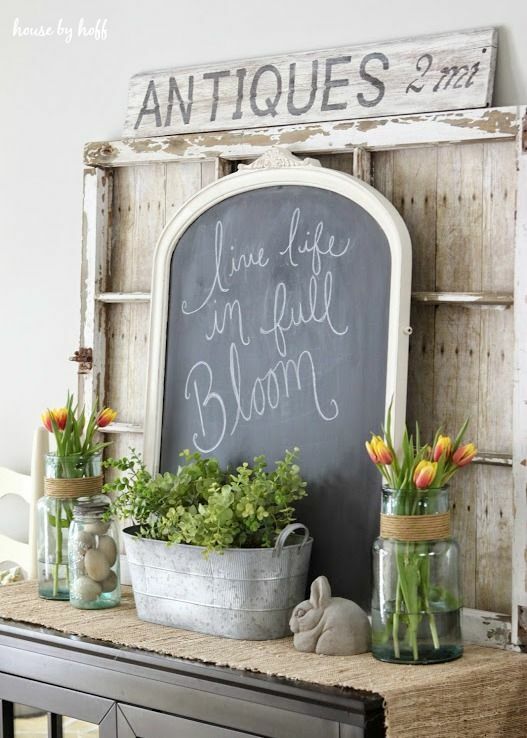 I am so excited for Spring. I don't think that I'll be able to get through the next few cold days or any more for that matter. I'm ready for flowers, birds and leaves on trees! 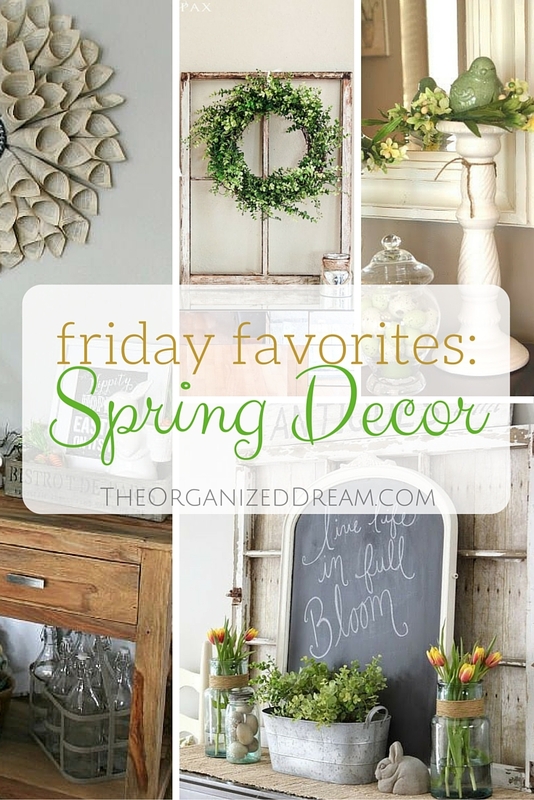 This week, I thought I'd share a few spring decor ideas that I really like. They're simple but scream the coming season. 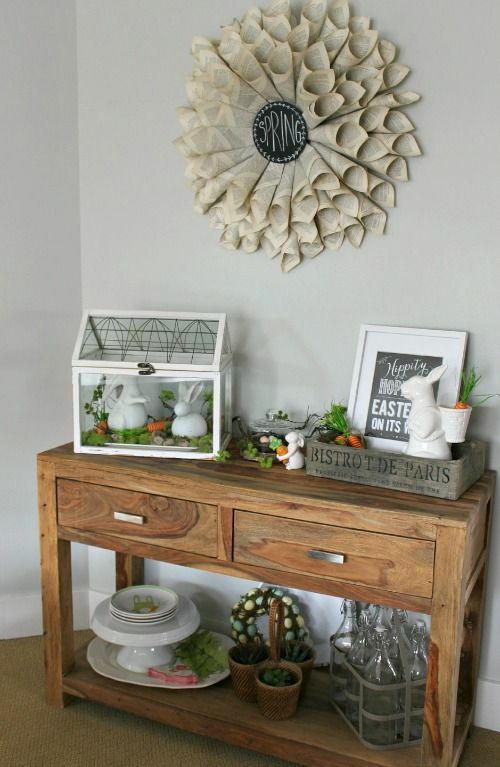 I love the look of this because it is neutral. There isn't always a need for bright colors. 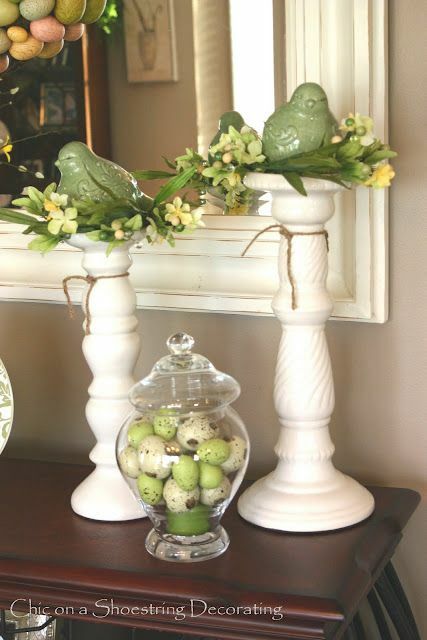 I like the idea of utilizing pillar candle holders for something other than candles. These birds are super cute! Another option to use are orbs made of moss or boxwood. I love the brightness! 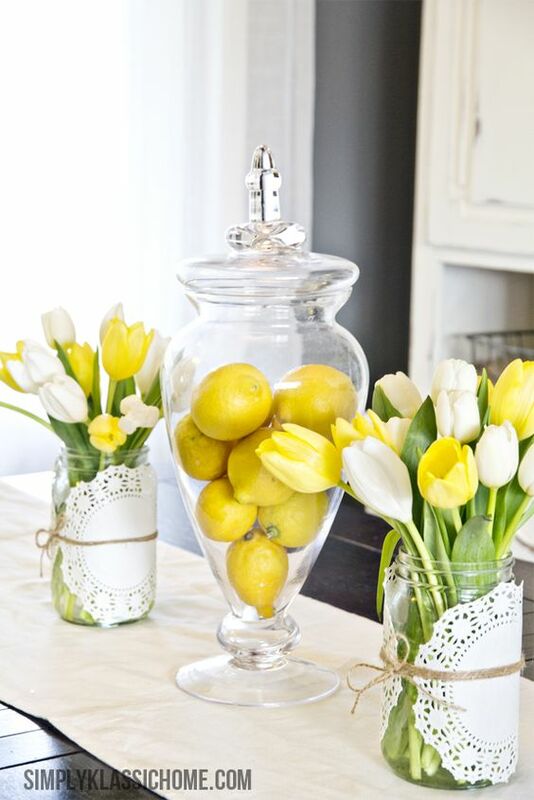 I usually consider lemons to be more of a summertime thing, but I really like the use of them in an apothecary jar. So pretty! Okay, so if you follow my blog, you know that I made a huge dahlia wreath out of book pages so the fact that this next feature has one is a plus. I really like this for the greenhouse though. They're fairly inexpensive depending on where you shop. I really like this one the most. 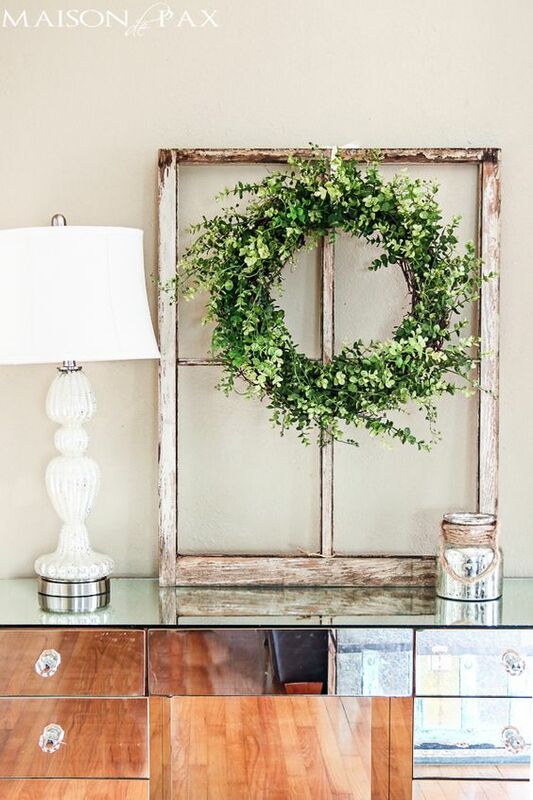 I like the rustic window and the boxwood wreath. 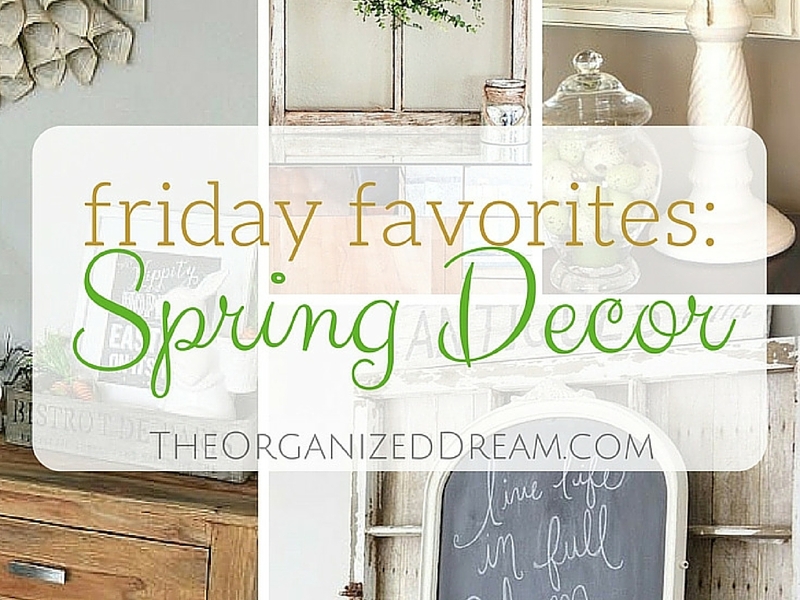 It's really simple, but chic, too! Thanks for sharing at the Inspiration Spotlight party pinned & shared. See you again soon.